Use Your Flex Spending Account Credits Before You Lose Them! Home » What's New » Use Your Flex Spending Account Credits Before You Lose Them! Need new specs? Time for an eye examination? Contemplating refractive surgery? Now is the time to save big on your eye care needs. As the end of the year advances, so does the end of your flex spending dollars. If flex spending doesn't strike a familiar chord you probably don't have an FSA (or flex spending account) but you might want to check your benefits to make sure. If you participate in a Flex Account with your employee benefits be sure to plan ahead. Many plans require you to use all contributions before January 1st or you will lose it! Using your FSA you can save big on your eye care necessities. Comprehensive eye exams, eye wear, contact lenses, even Lasik may all meet the requirements for a refund. Keep in mind that some procedures, such as laser vision correction require a screening process that takes time so call us as soon as possible. Call us if you have questions about using these benefits. 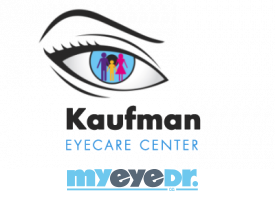 Our Boynton Beach, FL Eye Care Practice is here to help you with all of your eye care needs!